Mobile Phones have become part of our daily lives and as much as we are alive, we simply can't do without our mobile phones. Mobile phones in modern times have become a necessity for everyone. From browsing the internet to connecting with an associate or calling a family member and also running business transactions, all these are made possible with the help of mobile phones. One is able to accomplish a host of tasks through the day with the use of mobile phones. As far as the mobile phone is concerned, the choice available to buyers is numerous from choosing a phone brand, features, specs or colour. At Jumia, we know searching for the right mobile phone can be a whole lot of work to do by going through so many mobile phones brands, sorting base on colour, screen technology, operating system, processor, inbuilt memory or ram, as well as battery capacity, can be tedious. However, All you need is type in your choice of phone and you will find a phone model that fit your budget and requirements. If you are also planning on buying a high-end phone for streaming, play high graphics video games, click pictures, call friends, enjoy internet surfing as well as using your phone for online shopping you are at the right channel. In the modern age, where everything seems to run so fast, where everyone is on the go at all time. People buy food electronics smartphones and order for so many things online. All these activities are made possible with the help of a top quality smartphone that runs the latest operating system such as iOS, Blackberry OS, Android and Windows with a high-speed processor that empowered the mobile phone to run seamlessly. You need a smartphone that is packed with great features with cutting-edge technology that doesn't cost you a fortune. On Jumia, you will find a wide range of smartphones varying from screen size, OS, processor, battery capacity to security that is top-notched but at pocket-friendly prices. You can also decide to choose a smartphone based on its memory capacity. You can select an 8GB, 16GB, 32GB, 64GB up 256GB phone depending on your choice of model. Most of these smartphones on offer come with the best quality camera that lets you click a picture or a quick selfie. Feature Phones If you already have a smartphone but you are looking for a phone that is more basic in nature for your business calls or for your long hour talk time with your loved ones. All you need is a feature phone that comes in nothing less than a 1.8-inch display screen and that lets you view your text messages and calls without you having to strain your eyes to view the screen. Feature phones are built with keypads and awesome display screen. They are very easy to operate and come with huge battery capacity. These phones give you the ability to run on a phone with dual SIM given you the opportunity to have a 2-in-1 phone. Feature phones are built to be compact and weigh less than 0.12kg and most times they do not weigh as much. Feature phones, like many other great phones, feature Torch, FM radio, connectivity, music player, alarm clock and several other features. 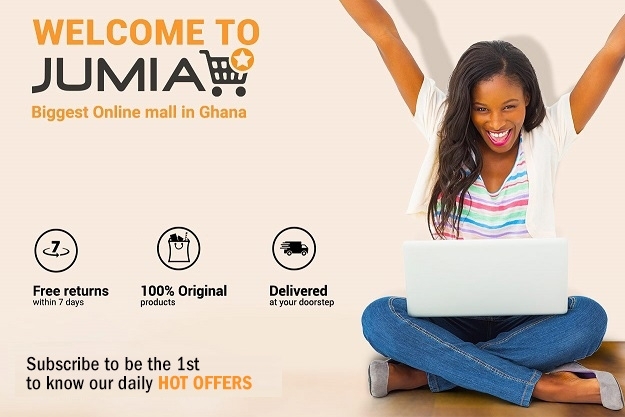 You can order for your choice phone today and let Jumia deliver to your preferred location without you having to worry about picking it up. All our selected items on offer are very affordable. Shop from top brands like Samsung, LG, Apple, Tecno, Infinix, Huawei and more. If you also need accessories for your phone, you should check out our mobile phone accessories section for variety on offer.